We were contacted by a local artist who had been commissioned to make a fibre glass model of a Narwhal and a Gold Fish to go aboard a cruise liner! They needed a hard wearing product that would ensure the hand crafted models would last the test of time being beaten down on by the Caribbean sun or taking a battering by the Atlantic ocean winds. Follow our journey here on the blog from concept to ship! Check out the photo of the Narwhal during the prepping period. Small child inserted for scale! 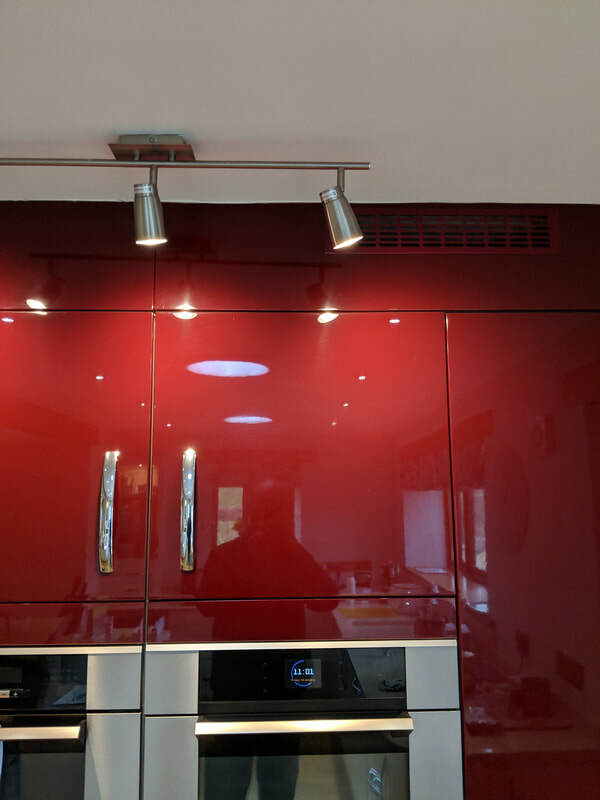 We were recently contacted by an Interior Designer who wanted a bespoke colour high gloss kitchen to replace the present high gloss red kitchen doors that were in situ. 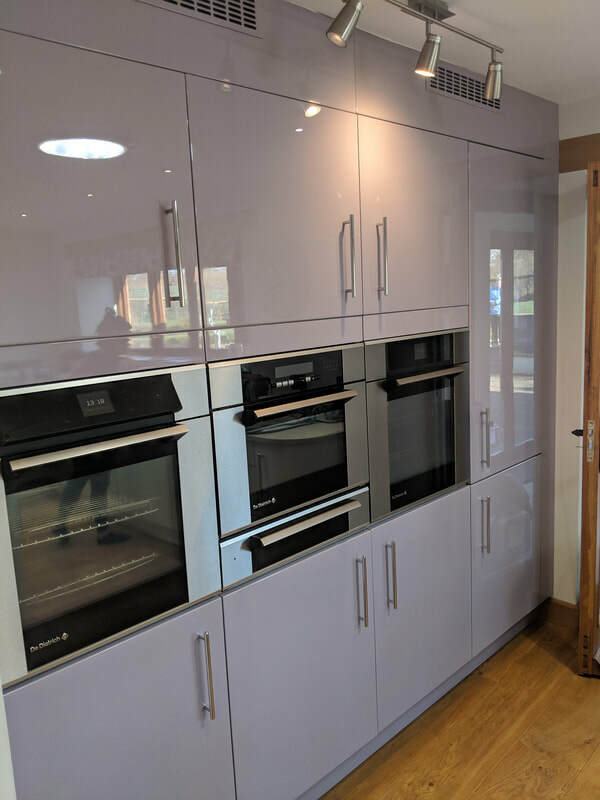 The beauty of this service was, the customer got the exact colour that was required to complement the scheme but could retain a well made and costly kitchen. This also resulted in minimal disruption for the customer as we came and removed then returned to reinstall all of the appliances, doors, plinths and panels this is all part of the service the customer opted for, so for them they could continue to use the kitchen as before with no mess, dust or builders to dance around while trying to eat breakfast! The whole process took about 2 weeks to complete and was finished off by hand polishing the units. 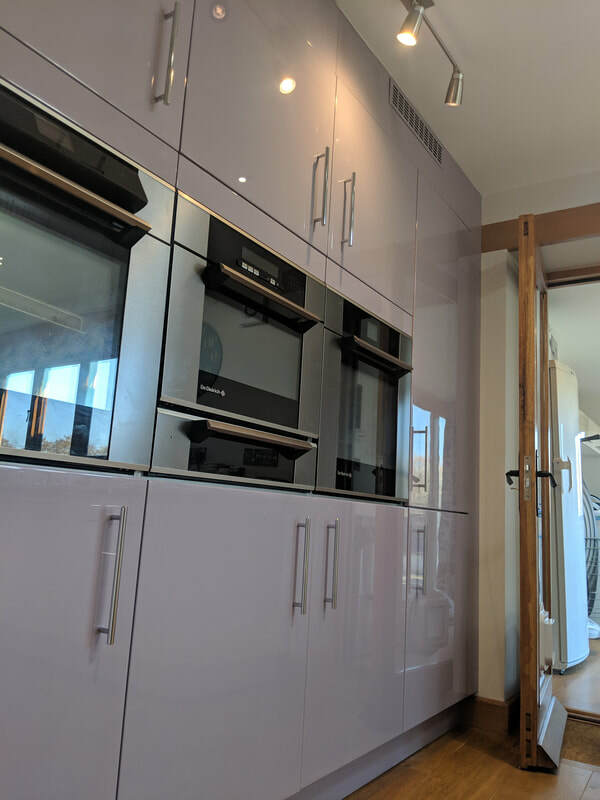 As you can see from the photos the high gloss red was good although had some distortion in the reflection but the new Lilac colour has near mirror reflection. Both Client and Interior Designer (Vicki, Balance Design) were really pleased with the results and both a pleasure to work with. What do you think, do you prefer the RED or LILAC. 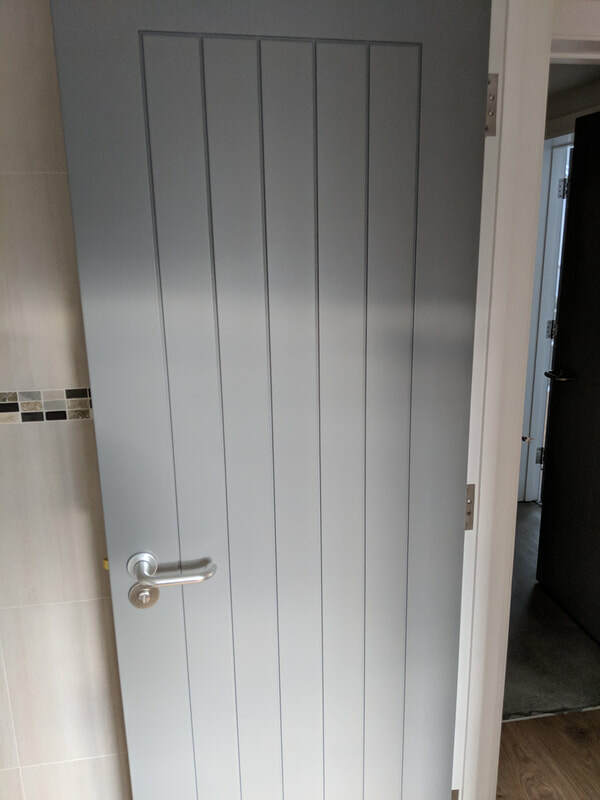 We were contacted back in December from a customer who wanted her existing doors to match the contemporary look of her newly renovated house. One of the builders had already attempted to paint one of the doors, with very poor results. We stripped the doors back, prepped and primed them before finishing them off in a shade of grey specially chosen by the customer. She was thrilled by the look and finish.